I thought about writing an intro paragraph about shelf turds and overpriced bourbon – all of this connecting to Wild Turkey like a bad joke. There was a time when I’d laugh, but now I don’t (at least not as much or as loudly). I don’t because I’ve realized that folks are missing out. True, Wild Turkey makes some pure revenue boosters, such as American Honey and American Honey Sting (both liqueurs). I get that, and those weren’t made nor marketed to me in the first place, so no offense. But the last two limited releases, Diamond Anniversary and Master’s Keep, which are marketed to the enthusiast, still sit in the wild collecting dust at roughly $100-$150, location depending. Many folks yell about the higher prices of Wild Turkey LE’s, yet have no problem paying premiums for whiskey sourced from unknown distilleries, annual over-hyped “flip-worthy” releases and the like. Wild Turkey limited editions are exactly that – true non-sourced limited editions. They’re genuinely special releases and priced like it. They don’t pretend to be anything else. They’re often aged stated and typically quite mature in comparison to most KY straight bourbon whiskeys. They’re personally selected by Jimmy and/or Eddie Russell. They’re even dressed up in pretty boxes with lots of details to make it gift-worthy (which is more than most LE’s from other distilleries). So if you like Wild Turkey, you’re missing out when you complain about the latest LE price. If you don’t like Wild Turkey, why do you even care? Overall: I quite enjoy this bourbon. It reminds me in some ways of the old Wild Turkey herbal, floral & citrus notes found in Beyond Duplication and “Cheesy Gold Foil,” yet missing the rich oak influence. Had this been 101 proof I think it might’ve rivaled the older 12-year Turkey, but unfortunately we’ll never know. But don’t blame dilution. Per Eddie Russell on a 2016 Bourbon Pursuit episode, Diamond Anniversary is near barrel proof. Regardless of ABV, this is very much a lovely whiskey. It tastes nothing like the standard Wild Turkey bottles you’ll find on retail shelves. And yes, I know Russell’s Reserve Single Barrel is half the price and 110 proof – BUT – this isn’t that profile. 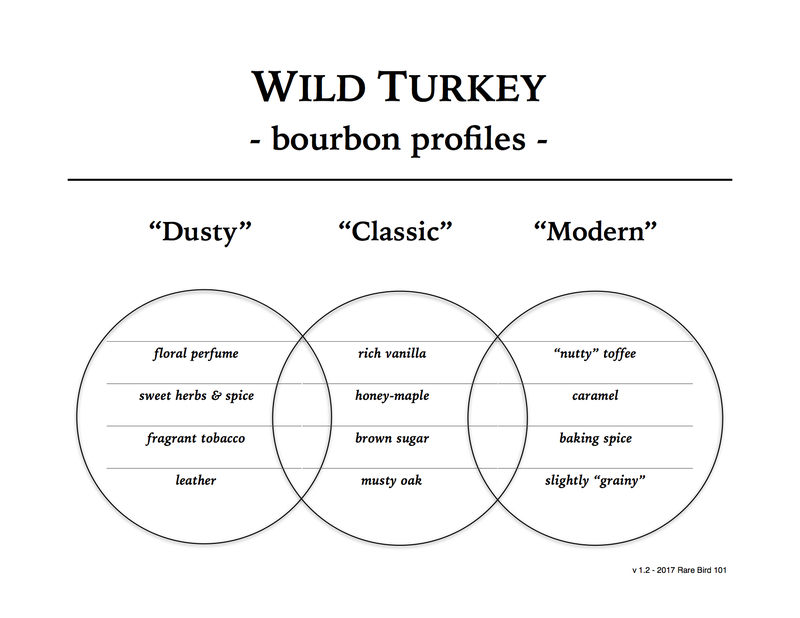 This is the delicate spectrum of Wild Turkey that’s sometimes found in Turkey from decades ago. I paid a little over $100 for it (it typically retails for around $125). Will I buy another bottle of Diamond? Yeah, I probably will.